We offer 100% Satisfaction Guarantee. Please email contact us first if you have any questions or concerns. 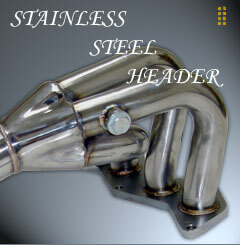 Generic Headers Gasket are Custom Made to fit Each Model Listed. Each Set is Tested and Make Sure the Fitment to Meet our Goal. 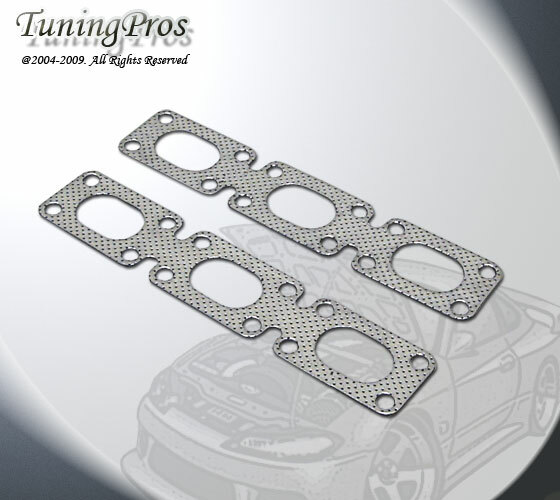 Gasket Fit on Stock Header and/or Our aftermarket Performance header. Uncompressed, and Gasket around 2mm. Tuningpros, founded in 2004 and headquartered in Southern California, is a auto parts and accessories e-tailer, dedicated to providing the best value and online purchasing experience for all auto parts needs. TuningPros guarantees that its customers will value its premier services and strives to make itself the online store for auto parts and accessorie with the best prices. Echeck (either thru paypal or our checkout system, Package will be on hold till check cleared, takes around 5-7 business days after payment received). 8.75% sales tax will be charged for all orders shipped within the state of California . Sales tax is calculated only on the extended price (unit price x quantity) total, excluding shipping and other charges. All sales come with 30-day warranty unless advertised differently. If the auction item you have ordered is defective, contact us within the warranty period and we will replace the defective item for you with an item of equal or greater functionality. In the event a suitable replacement is not available, a refund will be issued in the form of the original payment method or a cheque. Buyer is responsible for all return shipping cost. Returned items must be unused and undamaged. We will carefully inspect returned items before issuance of refunds, credits, or exchanges. A refund will be issued if replacement is not available. Returns may be subject to a 20% restocking fee. All defective products will be replaced within the appropriate warranty period. Shipping and handling will not be refund under any case. We do ship Worldwide. Please click here to check the shipping rate to your location(valid for this item only). Regarding Best offer, TuningPros only accpet/consider buyer offer for item price only. Buyer should notice that shipping and handling is Non-Negotiable, and should refer to shipping and handling table for specific item. To process your order without delay, Please use eBay checkout system to enter your shipping information and pay for your order using eBay checkout. Shopping on TuningPros means 'Total customer satisfaction' and we offer 100% Satisfaction Guarantee. Please email contact us first if u have any questions or concerns(by click on "Ask a question" under seller info Section located on upper right Corner). Leaving any Negative feedback won't help on solving any problems. We view every customer as a customer for life. We work hard to make sure your online purchasing experience is the smoothest, most pleasurable online purchase possible. From browsing our intuitive and information rich auction item, to purchasing and delivery to your door. Let us know how we are doing; e-mail us your feedback. Your complete and total satisfaction is our greatest ambition! We are adding to our product line daily and we have the best values on auction listing! Have suggestions? E-mail us(by click on "Ask a question" under Seller Info Section located on Upper Right Corner) and let us know what you are looking for! 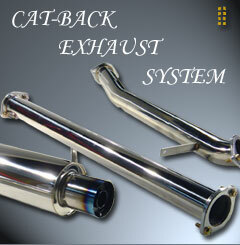 Our standards of excellence have given TuningPros the ability to provide performance auto parts at bargain prices. 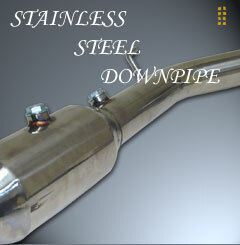 Having any kind of questions, concerns, or warranty issue, please contact us thru email or give us a call. The second Global Automotive Forum took place last week in the Jiaozhi international conference center in Chengdu, one of the most important economic and transportation centers in Western China. The two-day event was based around the theme of 'Crossing from Producing to Innovation Country' and was attended by more than 80 people from the global automotive industry. While most of the sessions revolved around the greater automotive industry in China, Car Design News was asked to organize a session of the forum centered on design, which included a 'roundtable meeting' for designers. By Ollie Kew First Official Pictures 14 February 2014 10:00 BMW purists, look away now. Family guys with growing broods and a penchant for premium badges: step right up. This is the new BMW 2-series Active Tourer. New Citroen 2CV – is that the Citroen Nouveau tease? The latest Citroen tease of a new car for Frankfurt This image is of hardly more help than the one we’ve already seen. And Citroen are being absolutely no help at all. They’re obviously hoping for a bit of viral speculation – and they’re getting it.